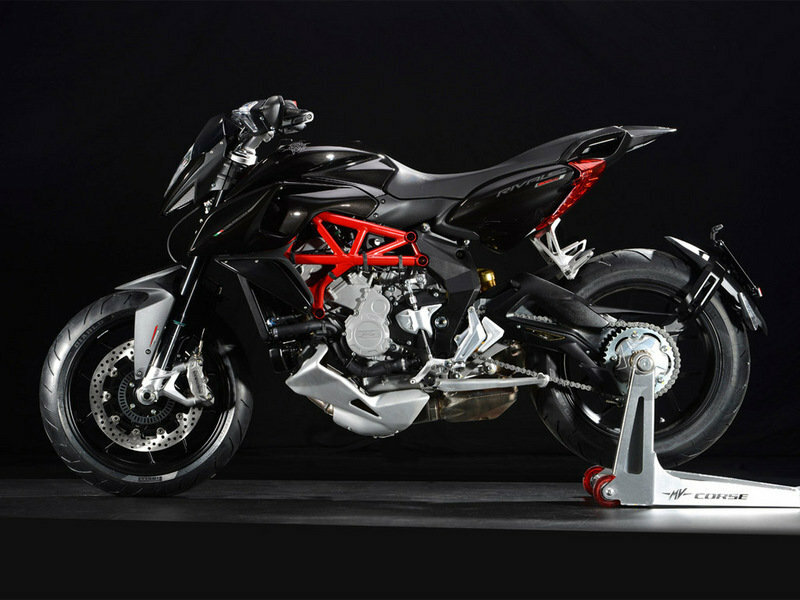 The MV Agusta Rivale 800 sets new standards it the industry thanks to its state of the art technologies, revolutionary style and superior ride and handling abilities. 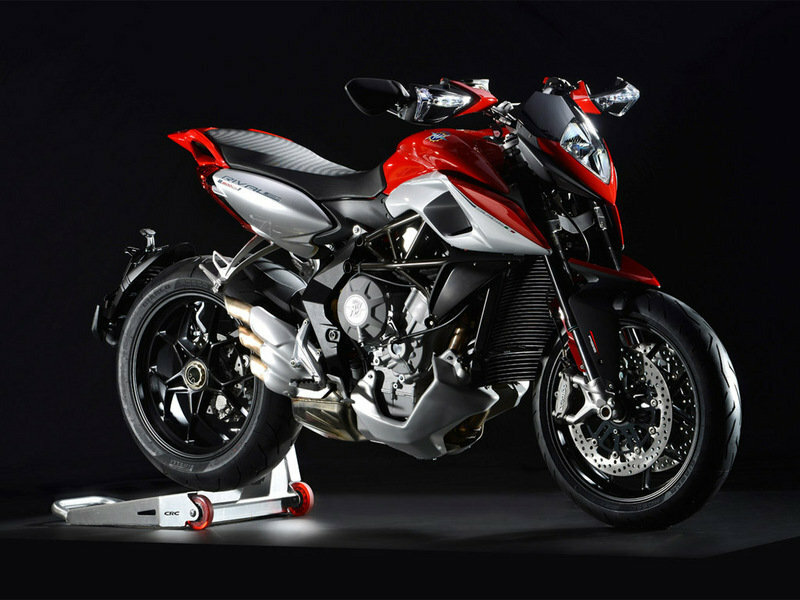 The MV Agusta Rivale 800’s frame is made of ALS tubing and aluminum alloy plates while the swingarm is pretty long compared to the compact wheelbase, thus enhancing the motorcycle’s handling performances. The motorcycle is propelled by a 798 cc, three cylinder, 4 stroke, 12 valve, D.O.H.C engine which puts out a maximum power of 92 KW (125 Hp) at 12.000 rpm and 84 Nm of torque at 8.600 rpm. 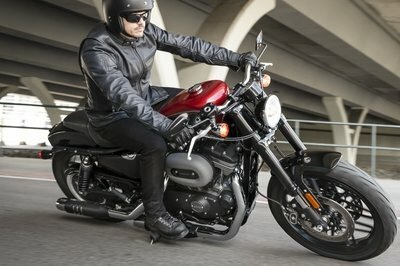 Apart from the strong engine, the motorcycle is also backed up by a range of modern electronics which form the company’s MVICS (Motor & Vehicle Integrated Control System). 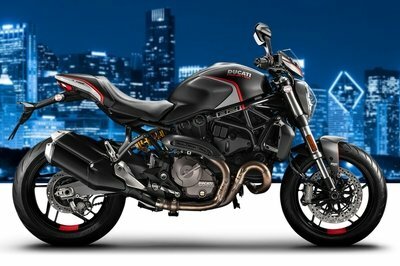 The MV Agusta Rivale 800 is offered with a base price of €12.690. 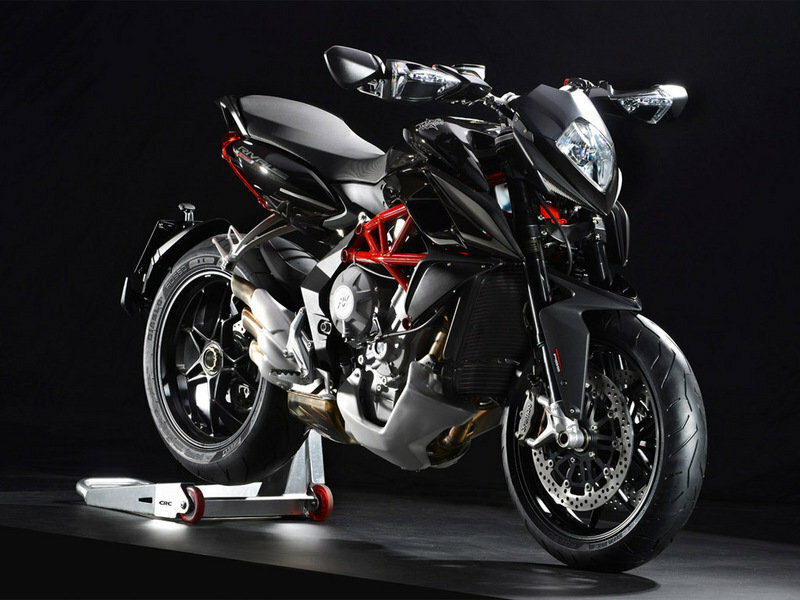 Hit the jump for more information on the MV Agusta Rivale 800. The in-line three-cylinder engine, designed and manufactured entirely by MV Agusta, is becoming an authentic classic due to its excellent performance and efficiency. 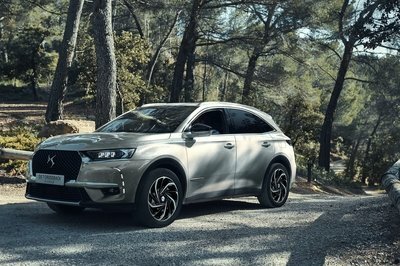 Other three-cylinder engine solutions are currently being introduced on the market: none of them however can boast the extraordinary compactness that characterizes this engine and has been achieved by implementing technical solutions without compromise. 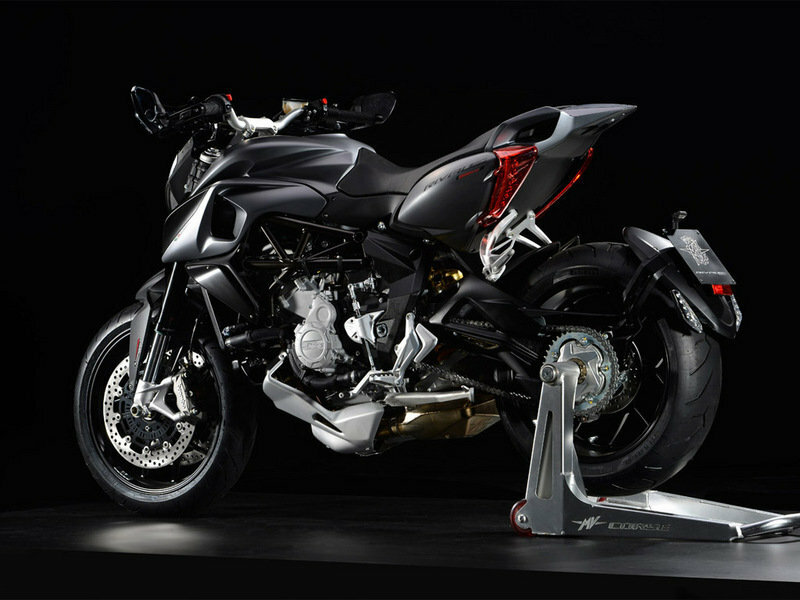 The closed-deck engine block has been manufactured by chill-casting and has integral liners; the liquid cooling and lubrification circuits are integrated and their pumps have been integrated with the engine in order to significantly reduce size while guaranteeing a superior style, an indispensable quality found in every MV Agusta. 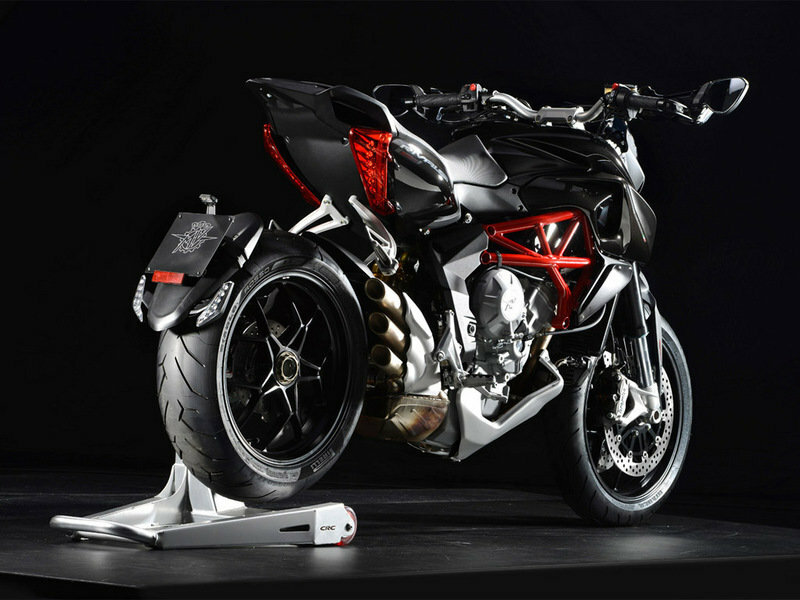 The technological excellence of this engine is recognizable by its weight (only 52 kg) and its counter-rotating crankshaft, a racing solution, widely used in MotoGP: introduced for the first time by MV Agusta on a production series model, reducing inertia when changing direction and enhancing handling. Double overhead camshaft valve train layout with four valves per cylinder; intake and exhaust have been designed specifically for Rivale on the basis of the model’s performance. The six-speed gearbox is extractable, another example of the engineering excellence of this model, and is fitted with an Electronically Assisted Shift (EAS) system, i.e. the electronic gearbox, providing quick gear shifts; the bike is equipped with a multi-disc wet clutch and an effortless clutch control. Power and torque figures have been specifically defined to enhance Rivale’s dynamics, thus creating a motorbike that is a purely thrilling experience. 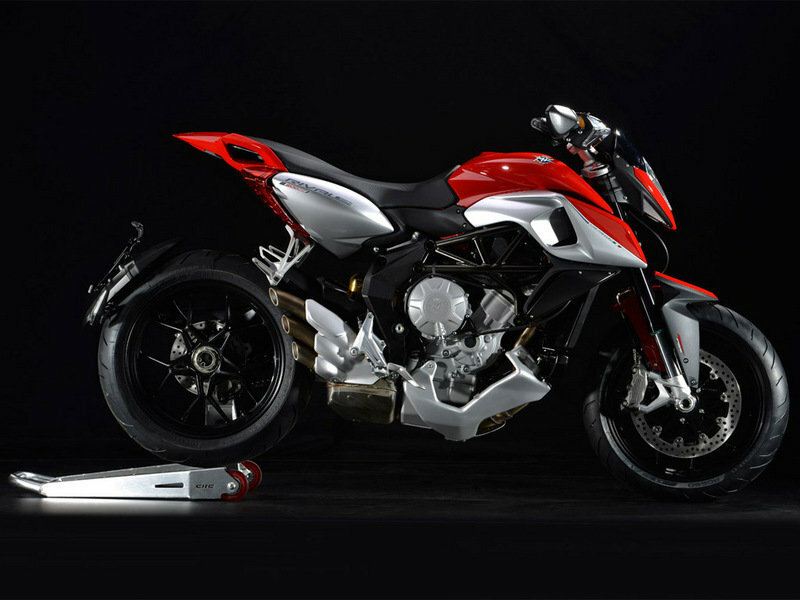 The exceptional versatility of this in-line three cylinder engine - capable of producing 148 BHP on the supersports MV Agusta F3 800 - ensures consistent and exhilarating performance 125 BHP @ 12,000 rpm, a maximum torque of 84 Nm @ 8,600 rpm, Rivale ensures consistent performance at all revs, as well as a lightning response to the Full Ride By Wire throttle. 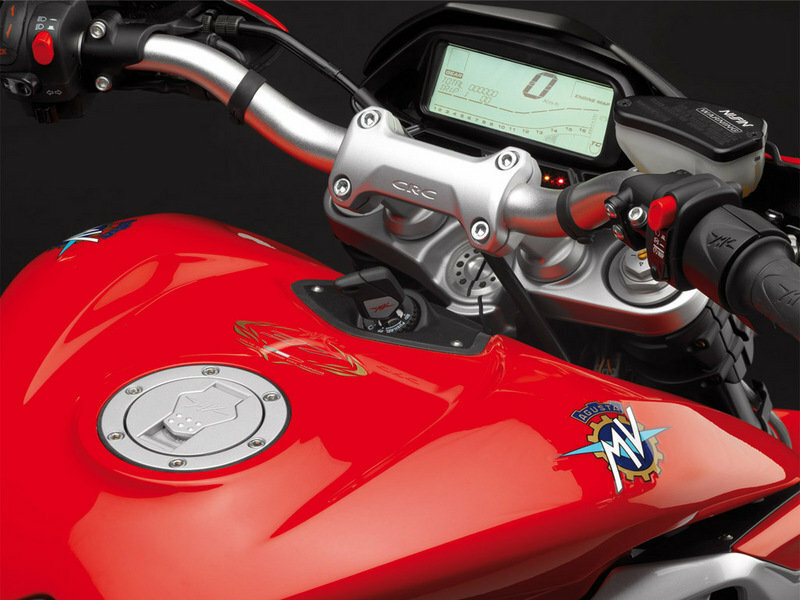 The MVICS (Motor & Vehicle Integrated Control System) platform was designed to become a landmark in the development of MV Agusta’s three-cylinder project. By means of consistent integrated management, all electronic control parameters of the motorbike can be managed and coordinated both effortlessly and efficiently, thus enhancing performance and optimizing thermodynamic efficiency under all conditions. The Full Ride By Wire throttle and the comprehensive control panel represent the interface between the rider and the MVICS platform, handlebar controls allow the rider to readily intervene on a wide range of customization and safety parameters. 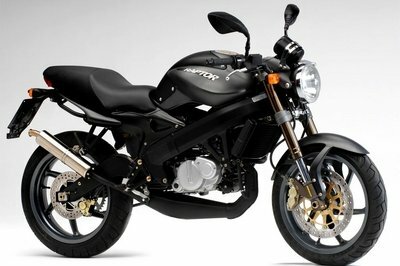 Customization and safety are the operational objectives of the MVICS platform that allows the rider to choose from four engine maps: the first three are pre-defined performance levels: sports, normal road usage and wet or slippery road conditions; the fourth allows each parameter to be customized by the rider, ensuring perfect performance both for his preferences and the specific conditions. Many parameters such as: engine response, rev limiter, engine torque response, throttle and engine brake sensitivity can be customized via the MVICS platform, that also includes 8 levels of advanced traction control that have been carefully defined to ensure the best results in terms of delivering power to the road, even when road conditions are critical. ALS tubing and aluminium alloy plates: this is the chosen solution for this frame, another fundamental characteristic of the three-cylinder project. In particular, the front section has been manufactured with steel tubes ensuring a sufficiently flexible design that has led to the production of Rivale’s dynamics. Aluminium alloy plates complete the frame’s rear structure that is subject to heavy torsional loads due to the long swingarm. The swingarm is one of the project’s strategic choices: it is very long if compared with the motorbike’s extremely compact wheelbase (only 1,410 mm) and provides the necessary traction and maximum yield under every condition. Specific characteristics of Rivale, have led to the development of an "ad hoc" chassis: rake has been increased by 0.5° compared with the F3 675 and 800 and by 0.5° compared with Brutale 675 and 800. The increase in suspension travel is another key characteristic of this model: the inverted forks ensure 150 mm travel, thus allowing weight distribution to be redefined. In order to achieve greater dynamic performance, kinematics of the rear suspension have been adjusted so that the wheel now has 130 mm travel. The riding position leads to efficient dynamics without compromising comfort i.e. the handlebars are up close to the rider, an ideal configuration ensuring full control of the bike and transferring the load to the front, thus enhancing precision and cornering. The braking system consists of a set of twin 320mm Brembo floating discs with four 32mm piston callipers; on the rear the bike is equipped with a 220mm steel disc and a double 34mm piston calliper. The new dashboard has been designed and produced for Rivale: it is entirely digital, and offers an ample reading surface, in which instant speed and rev indicators are located. The versatility of the instrument cluster allows the rider to choose the information to be displayed, however the engine response map and currently selected gear are always clearly visible as well as the traction control level and coolant temperature. Readability is ensured under every illumination condition thanks to the technology used for the display. Handlebar controls have been designed according to principles of rationality and ergonomics, every button and switch is easily reachable and the brake levers are well-shaped and their distance from the handlebar can be adjusted. Foot controls are made from aluminium alloys, are lightweight and robust, and have been designed specifically for Rivale. Footrests have been fitted with a rubber top to reduce vibrations while ensuring a good grip with motorcycle boots or casual footwear. The gearbox reverse lever is protected with an elegant aluminium shield. Max. power - r.p.m. (at the crankshaft) 92 kW (125 hp) at 12.000 r.p.m. Max. torque - r.p.m. 84 Nm (8.6 kgm) at 8.600 r.p.m.